Spring is now bursting to life around us and what better way to celebrate the season than to launch a selection of beautifully handcrafted additions to our collectables collection. We can think of no better way to bring Spring to life than to launch our new Springtime Bunny. 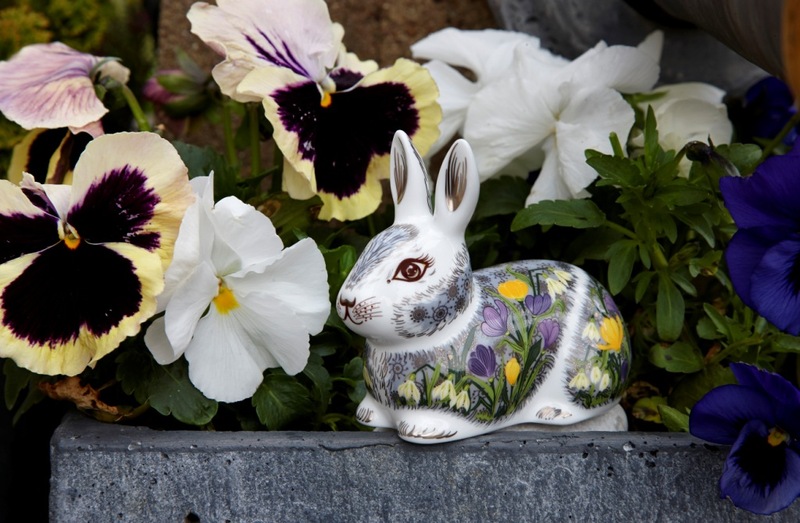 The Springtime Bunny perfectly depicts regrowth and new life which is synonymous with Springtime. Beautifully detailed with platinum burst, marked along the body, to bring the spirit of Spring into your collection. Blooms of snowdrops and crocuses add beautiful shades of purple, yellow and green on a grey and white backdrop to create the impression of sitting amongst the flowers. Platinum detailing adds a breathtaking finishing touch to the body, paws, nose and ears which really makes the Springtime Bunny a special addition to anyone’s collection. 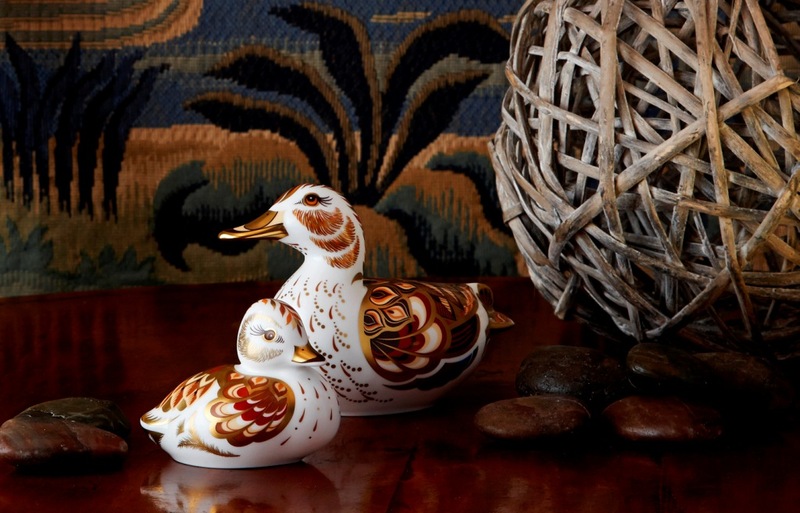 New life is abundant in the animal kingdom this time of year so why not discover mother and child pairings in our collectables with the launch of the Wigeon Duck and Wigeon Duckling. The Wigeon duck is a beautiful creature which can be found on grasslands and marshes, nesting on the ground near water they are a social duck which loves to gather in large flocks. Featuring rounded geometric shapers to bring the beautiful feather detailing to life in hues of red, orange, brown and cream tones woth a hint of blue on the ducks underwing. Bringing the feather detailing to life with 22 carat gold, adding beautiful flecks on the body and face of the Wigeon Duckling to represent the natural down it will lose as it grows. Available to purchase individually to include as a lovely new addition to any collection or purchase as a pair to make a superb Wigeon Duck and Wigeon Ducking, mother and child combination. Aesop’s Fables are a collection of short stories with hidden morals and meanings which have transcended through the ages to teach readers lesson still relevant today. One of the most notable of these is ‘The Tortoise and The Hare’, which accounts a race between unequal partners where wit and patience win the day over just skill. Launching into the collection under general release this Spring is the Winter Tortoise and Winter Hare. Spring is now underway here in the UK but many countries are in the midst of winter. 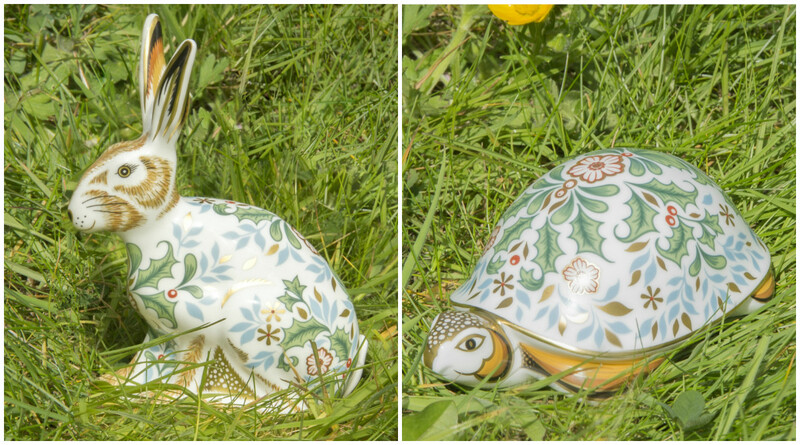 With this in mind our Winter Hare and Winter Tortoise boast a wonderful seasonally inspired design featuring winter blooms such as holly, jasmine, hellebore and mistletoe. They would not be misplaced out on a frosty morning with 22 carat gold detailing to complete this pair perfectly. So why not create a stunning Aesop’s Fable inspired pair well suited to any collection with the Winter Tortoise and the Winter Hare. Both of these beautiful collectables are available individually as a spectacular new addition to a collection.